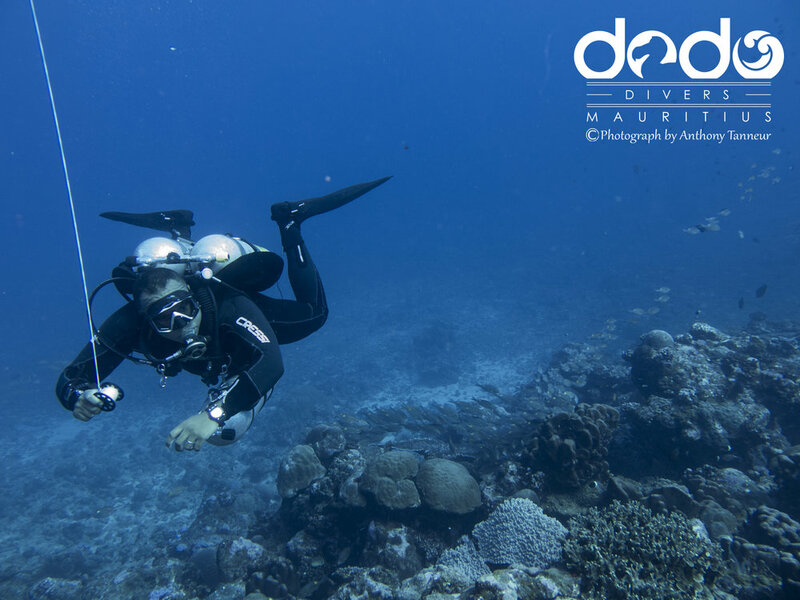 Dodo Divers, the first and only to bring Tech diving to Mauritius, remain the experts in our region. We are constantly learning and improving, exploring, and updating equipment to ensure our standards and quality remain at the high level our customers expect and deserve. Anthony, our Technical Director is a GUE Instructor, supported by a team of highly skilled, passionate technical divers. A powerful combination bringing the best in the world right to Mauritius. As well as organising regular tech dives for already qualified technical divers, we also provide technical diving courses for those looking to expand their limits, and providing the bridge between recreational and technical diving. 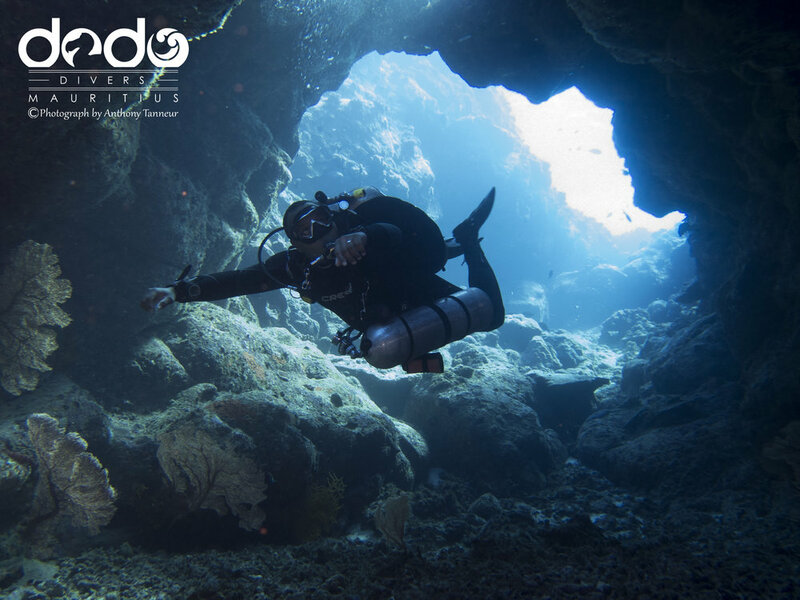 The GUE Fundamentals course is a course designed to cultivate your fundamental diving skills, and also acts as the gateway into GUE Technical or Cave Diving. 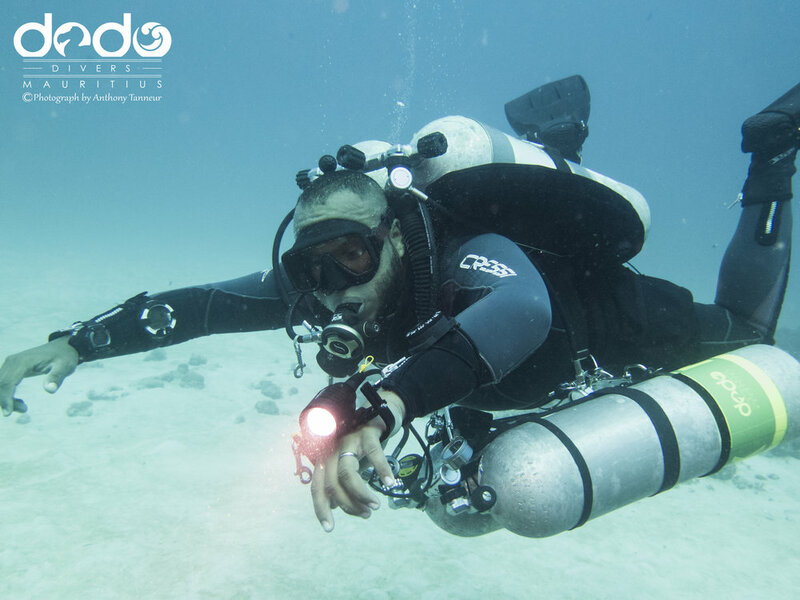 GUE pride themselves on creating excellent divers, with outstanding in-water skills and knowledge. Whether you want to improve your basic skills such as buoyancy, trim, propulsion techniques etc; or cross over into Tech diving, the Fundamentals course is a challenging but rewarding adventure. READY TO BEGIN YOUR TECHNICAL DIVING ADVENTURE? 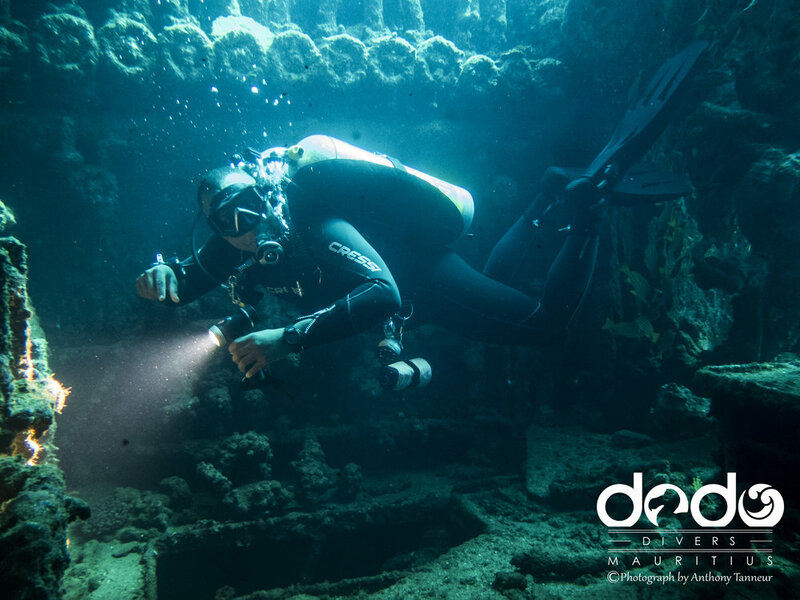 To find out more about our Technical Dives and Courses, please contact us directly using the contact form or contact details available on this website.